Very nice and btw, I like your other picture of this owl on your flickr site. Over the years I've managed to get a few pictures of owls in the wild, out here on the prairies and in the Boreal forests. 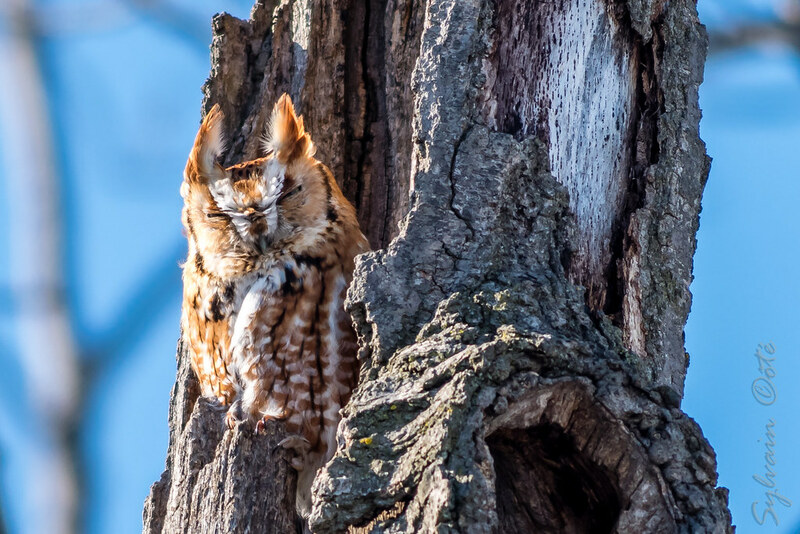 Great Grey , Great Horned, Northern Hawk , Barred and Snowy Owls, but I've never an Eastern Screech Owl. In fact first time I've seen one is your pictures. I'm in Manitoba and I understand they exist here, but are uncommon, Some say they may have extended their range westerly, due to the increase in house sparrows over the years. I don't know. Very interesting pictures of this owl, now I'm motivated to keep my eye open for one of these birds. The owl's home, the overall scene, is fascinating. Thank you for the invite. 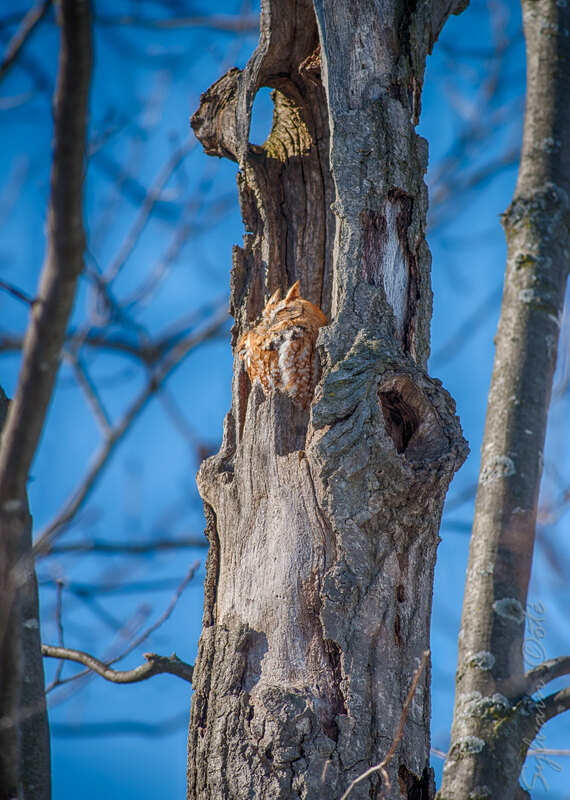 I would love to see habitat of Eastern Screech Owls. I think you're right about the Western Screech Owl. I couldn't find record of this bird in Mb. The Great Grey Owl is the provincial bird of Manitoba and they just seem to appear in any numbers, every so often. It's really quite a magnificent bird and quite something to see, on the few occasions I've come across these large owls.